Use the links below to jump to the section of your interest. AGTA’s GemFair, Cultured Pearl and Jewelry Pavilion at JCK! 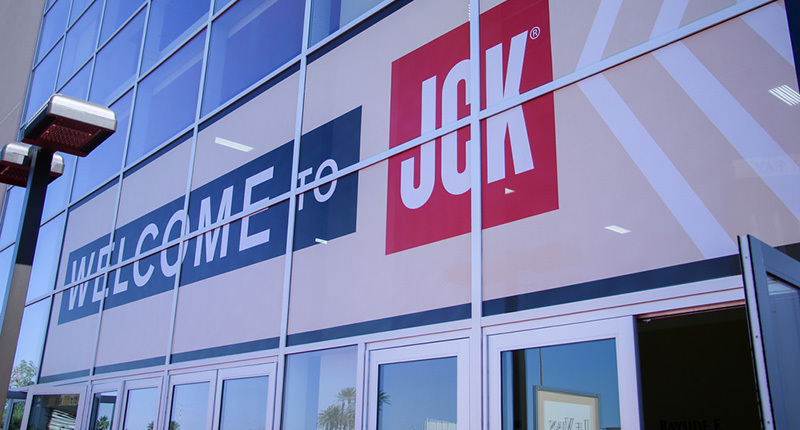 For assistance, please contact our Exhibitor Service Department at 800-257-3626, 203-840-5684 or inquiry@jck.reedexpo.com. Lighting packages are available through Freeman, click here to view form. Exhibitor freight delivery and booth set-up will follow a targeted move-in schedule. Please refer to the JCK Freeman Quick Facts, for your specific move-in date and time. Please read this information carefully, so you do not incur additional charges. You will need an exhibitor badge or temporary work pass to access the Show floor. We have put together a AGTA Freight Target Floor Plan, Bayside Level Freight Target Floor Plan or Shorelines Level Freight Target Floor Plan to assist everyone in the set-up of their booths. This will allow for the show to open flawlessly and allow enough time to maintain cooler temperature and make sure the entire show floor is clean and set-up on time view Freight Target Floor Plans. Please review carefully. If this policy is not adhered to by each exhibitor additional cost will be incurred. With this policy of the Freight Target Floor Plan, we are requesting that each exhibitor to be set up and moved in no later than 5pm on Wednesday, June 1. Exhibitors will be allowed to tweak/fine-tune their booth after 5pm on Wednesday, June 1 and on Thursday, June 2. All freight doors and any doors to the halls will remain closed after 5pm on Wednesday, June 1. On Wednesday, June 1 after 5pm, all crates, containers, ladders and tool boxes MUST be removed and no booth construction will be permitted after this date and time. If these items are not removed by this date and time, they will be tagged as empty and forced in to Access Storage at your expense. Please advise your EAC’s (subcontractors) regarding this policy. SUNDAY MAY 29 & MONDAY, MAY 30 THE EXHIBIT HALLS ARE CLOSED. NO FREIGHT DELIVERY OR LABOR ALLOWED.